Fancy going to the pub with Share Community? August 2018. Fundraising pub quiz. Funding for iPads. Share Out and About project. Independent living for Ummair. End of season sale at Share Nurseries. 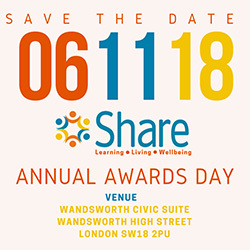 Share Annual Awards. Job opportunities at Share. Share recipes. 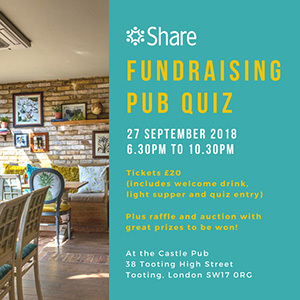 Time to polish up those grey cells and get ready for our Fundraising Pub Quiz on 27th September 2018 from 6.30pm to 10.30pm at the Castle Pub in Tooting. We're determined to put the fun into fundraising so get some friends together for a team, think up a great name, and join us to battle it out on the night! We will be running a raffle with some great prizes on the night, and the chance to bid for a super auction lot, courtesy of our wonderful supporters. Prizes for our winning team and commiseration gifts for the losing team! Tickets are available to purchase through Eventbrite. Please do secure tickets early as we have limited places. If you'd like to take a full table, it’s best to buy all of the tickets at the same time so we can guarantee a full table. 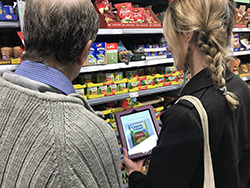 Thank you to the Tony and Sheelagh Williams Charitable Foundation, an independent grant-making charity, for funding to purchase more iPads to facilitate digital learning at Share, based on our Theory of Change. This will help us to rollout the integration of digital skills for independent living and personal development programmes at Share. 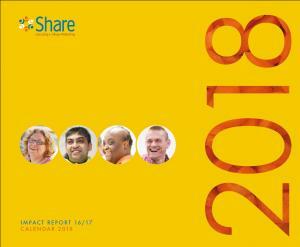 Share is launching an 'Out and About' project from January 2019. 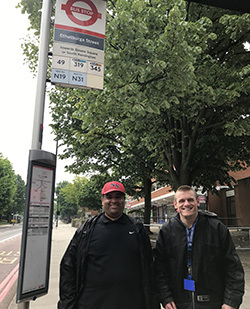 This project represents the next step in our Independent Living Skills programme and is designed to help our students get out and about in the community. As part of the planning phase for the project, over the next few months, we'll be asking our students and their parents/carers their views on how we should shape the project to best suit their needs. To find out more about the project, please contact Share's Wellbeing and Outreach Manager, Karen Miles, via email karenm@sharecommunity.org.uk or telephone 07445 365 365. 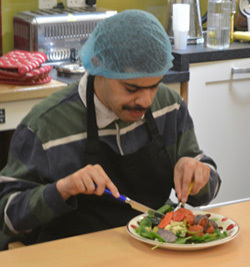 Share student, Ummair, has taken his first steps into independent living by moving out of the family home and into supported living, and is enjoying every moment of his newfound independence, growing in confidence every day. Not only that, but he is now also travelling independently to and from Share, and his parents' home at weekends. So very much putting into practice all the things Ummair's been learning at Share. Be sure to check out the video of Ummair in his new home! And find out what he has to say about his aspirations for the future. As summer turns to autumn, Share Nurseries is planning ahead to stock up for winter. Which means our end of season plant sale is now on, with a range of flowering, vegetable and herb plants all available at great prices. Our winter bedding plants will be coming soon, so get your orders in now for the new season. This year, we're also selling bulbs so come and visit the gardening team to discuss your needs. 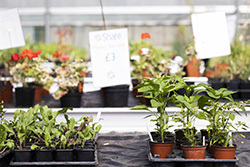 Share Nurseries is based in the Share Garden, within the grounds of Springfield University Hospital in Tooting, next to Building 15. Visit the Share website at https://www.sharecommunity.org.uk/about-us/how-find-us#ShareGarden for more information and a map on how to find the Share Garden. Share Nurseries is open Monday to Friday from 9am to 3pm (except Bank Holidays). 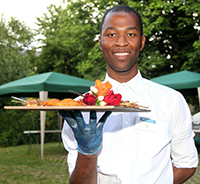 For more information, contact Share's Horticulture Training Manager, Sarah Bailes, via email sarahb@sharecommunity.org.uk or telephone 07837 180 774. Share is looking for two Project Support Workers to join our training team to support both our in-house and community-based teaching. 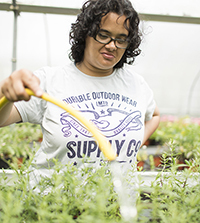 The ideal candidate should have experience of working within a social care and/or education setting, and have a strong commitment to the inclusion of disabled people. For more information about these roles, visit the Share website. To discuss these roles or if you'd like to find out more about volunteer opportunities at Share, please contact our People and Projects Manager, Leanne Wood, via email leannew@sharecommunity.org.uk or telephone 020 7801 9825.